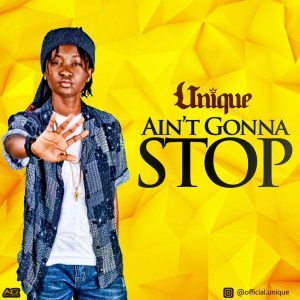 Unique returns to the music scene with a bang as she’s geared up to dish out new tunes to her ever-supportive amazing fans. The Performing Arts graduate, Oluwatoyosi popularly known by her stage name, Unique has been putting efforts together in the studio for the sake of producing musical outputs worth your speakers. No doubt, after assessing her latest singles, you would surely agree that the Lagos- based artiste is set to take the industry by storm this year. The song is lit💦💦. Gosh Toyosi you good asf. Damn i love it. This vibes are good music, I must confess. Make way takes no shii from nobody while ain’t gonna stop inspired and encouraged the journey… Thumbs up UNIQUE. WOAH!, Awesome!! !, you are really unique indeed; keep the fire burning girl. ore mi tiwa online. unique I swear your tracks dope gan, it’s been on playback since I downloaded it. keep it up babe, we ain’t stopping till our signature becomes an autograph…. You’re forever a star girl…!! Keep keeping on coz they must make way… Love this! Kip winning dear*Disturb dem with Success#Nice hits. Mind blowing… beautiful music… good for the sound ears… Younique never ceases to amaze me with her creativity, an constant improvements. Stargirl go soon rule them all for Naija. Your talent is class and for sure you style is unique. I love your tracks. Hey there, You have done an incredible job. I will certainly digg it and in my view recommend to my friends. I’m sure they will be benefited from this web site.